Walking is an important part of children’s lives. It is important for their health and fitness, and their ability to get around their community independently. Being a pedestrian however can be dangerous, especially for children who have not yet developed the skills to navigate the road safely. 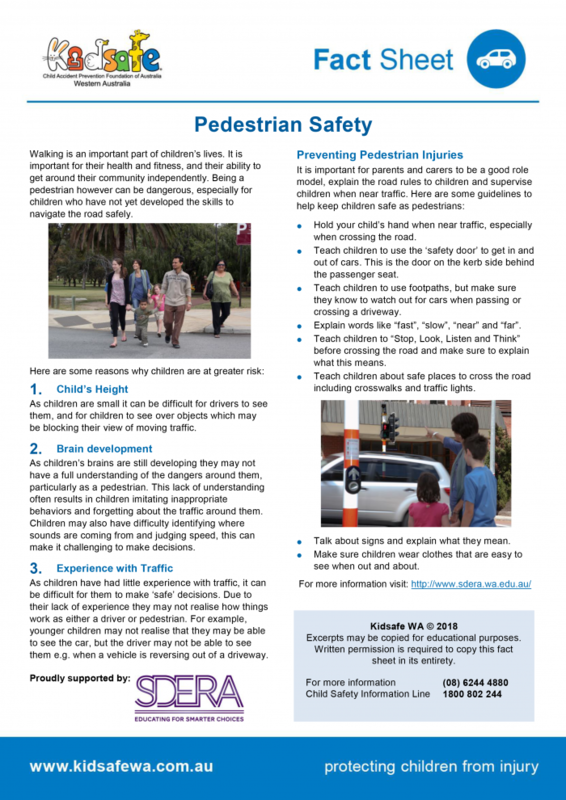 Scott Phillips, CEO of Kidsafe Wa, gives us guidelines to help keep our children safe as pedestrians. Are you concerned about the Safe Schools program?